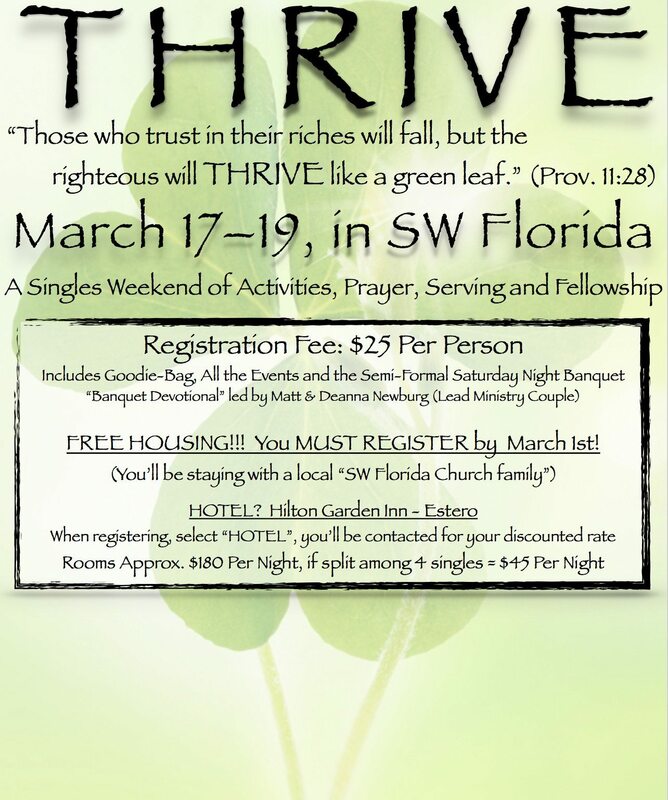 The “Thrive” Singles retreat offers a weekend of prayer, fellowship, serving activities, a semi-formal banquet and a singles-led Sunday worship service – all of which is included in the $25 registration fee. Free housing with a family is open until March 1. Go to www.swflccoc.org to register; hotel information is available on the website.